div>American Fashion is the ultimate volume on the history of fashion in this country, celebrating over eight decades and the work of more than 100 designers. Commissioned by the Council of Fashion Designers of America (CFDA), American Fashion is a visual journey through iconic and fresh images by the century’s greatest photographers and illustrators, accompanied by essays defining nearly a century of fascinating history. Beginning with the New York and Hollywood-based designers of the 1930s, the book illuminates the work of emerging patriotic talent during the war years. This creative crescendo continues with the evolution of the major names in American fashion during 1960s and 1970s and goes on to explore the achievements of our country’s marquee stars of the 1980s and 1990s. American Fashion culminates with a look at contemporary talents who export their individual visions internationally. 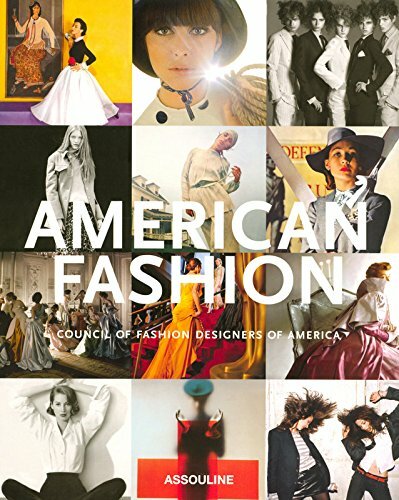 Chronicling the designers, icons, publications, and events that shaped fashion for more than 70 years, this is the essential compendium of the rich and vivid story that is American fashion.